They are strange creatures. With delicate, graceful necks, odd-shaped, ill-proportioned heads, and two black orbs, more resembling coals than eyes, they are unusual physical concoctions. Yet, this creature, this very animal has become an object of folklore and legend. The crane bird truly is more than the sum of its parts. Cranes, almost more mythic than real, are one of the most remarkable of all avians. Cranes physiologically push the limits of the avian kingdom in all directions. They are the tallest of all flying birds. The Sarus crane is the tallest standing bird that is capable of flight. 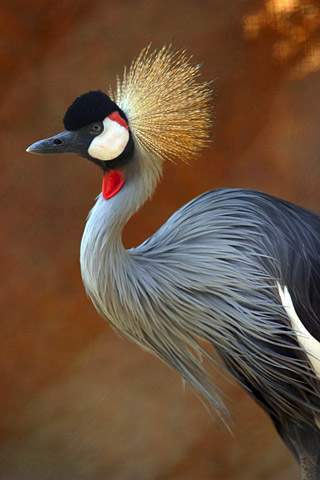 The crane bird are also the oldest known species of bird. A well documented leg bone fossil belonging to a Sandhill crane (Grus canadensis) was found to be nine million years old. The Eurasian crane (Grus grus) holds the altitude record for the species. Flying at just under 10,000 metres ( 32,000 feet), at this height it could comfortably fly over Mt Everest. Adding further to the record setting species is the Siberian crane (Grus leucogeranus). The Siberian crane ‘Wolf’ was, according to The Guinness Book of Records, the oldest recorded bird at 82 years of age. The bird resided at the International Crane Center in Wisconsin, United States. Crane society is extremely complex. They are highly sociable animals which possess incredible long-term memories. Like humans, they are mostly monogamous. They have a rich language which utilises many gestures. In terms of parenting, cranes devote a substantial portion of their life raising their young. Cranes are perhaps the best choreographers in the bird kingdom. Their dancing is the most ornate and intricate of all the birds. It seems that dancing and elaborate courtship plays an important part in crane culture. In fact, their dancing seems to be infectious. Once one begins to dance everyone else joins in. Some cranes even use props whilst doing their elaborate dances. They pick up objects and toss them into the air. The crane’s choreographed dancing has even inspired man to do imitations. In bygone times crane dances were adopted by people as part of rituals. In ancient Asia, particularly in China and Japan, the crane dance was performed as part of a key ritual. There is even mention of Theseus celebrating the defeat of the Minotaur by dancing like a crane in the Greek legend. Perhaps even the plate-breaking Greek dancing ritual may be attributed to cranes tossing objects in the air. There also interesting accounts of crane behaviour by Greek Observers that may or may not be true. Pliny the Elder noted that one crane would be employed on sentry duty allowing the others to sleep. The selected crane would hold a stone in one of its claws. The idea put forward by Pliny was that that if the crane fell asleep the stone would fall allowing the bird to awaken. 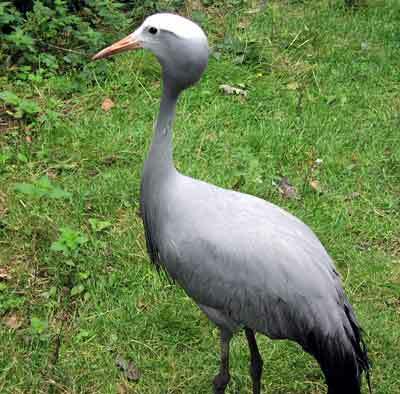 Nowadays, the crane has been allocated to the endangered species list. Species such as Whooping cranes (Grus americana) have been saved through breeding programmes. In order to prevent crane chicks from becoming dependant on humans, ‘isolation rearing’ is practiced where cranes never see their human surrogate parents. 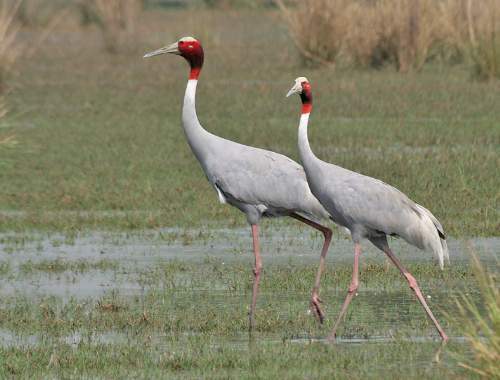 Of the 15 recognised species of cranes, eight are placed on the endangered wildlife list. One of the truly majestic birds, the crane has fascinated humans for generations with their complex and unusual behaviour. Thanks to the devotion of some dedicated people, they will continue to pique the interest for future generations to come. Cranes are physically imposing. One of the tallest species, the Sarus Crane (Grus antigone) can reach heights of 2 metres (6 feet 7 inches). Despite having an enormous wingspan of over 2.5 metres ( 8 feet 6 inches), cranes are incredibly light for their size weighing just over 7 kg (16 lbs). 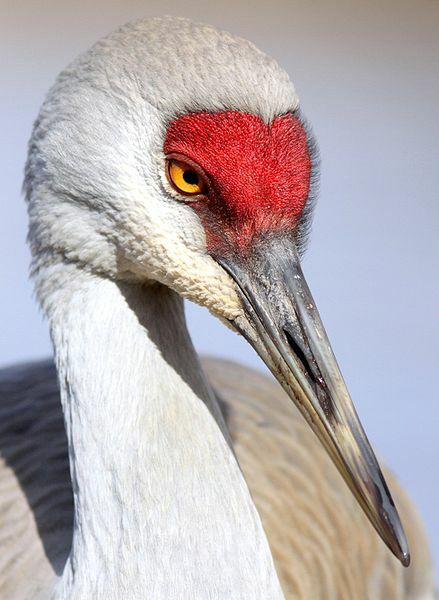 Cranes can live up to 30 years in the wild. However, in captivity some cranes may live to be over 70 years of age. They are found in most parts of the world with the exception of Antarctica and South America. The Birds of Heaven: Travels with Cranes is a highly comprehensive, well-written book for a self-confessed ‘craniac’. A highly recommended read. For people living in Ireland or the United Kingdom, you can access The Birds of Heaven: Travels with Cranes here. For those who live in Canada, you can obtain The Birds of Heaven: Travels with Cranes from here. For Germany: The Birds of Heaven: Travels with Cranes. For France: The Birds of Heaven: Travels with Cranes.